Dr Keith Sugden, in ‘History of Highbury‘, places the site of this settlement or battle roughly where the old Highbury Vale Police Station stands, on what is now Blackstock Road. 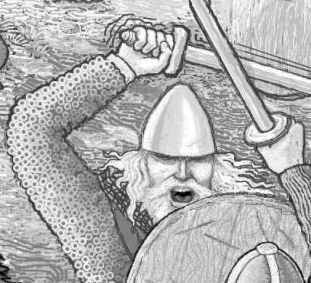 In 793, seven years earlier, Lindisfarne in the north had been sacked by ‘Northmen’. “In this year fierce, foreboding omens came over the land of Northumbria, and wretchedly terrified the people. There were excessive whirlwinds, lightning storms, and fiery dragons were seen flying in the sky. 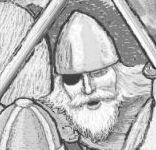 These signs were followed by great famine and shortly after in the same year, on January 8th, the ravaging of heathen men destroyed God’s church at Lindisfarne through brutal robbery and slaughter”… A detailed description of the invasion was written down by a monk, Alcuin, at the court of Charlemagne. Were there any such fierce, foreboding omens over Highbury in 800AD? Did a party of Danes clash with Saxons living in the area? 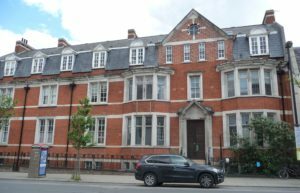 It was so long ago, & would have been so unlike the area as we know it – streets of Victorian terraced houses, shops, & the art deco facade of a famous football stadium that was converted into flats. Wildlife of the time in the Middlesex Forest would have included the fox, the crow, the red squirrel & the wild boar. Both Saxons and Vikings admired the wild boar for its bravery, putting stylised images of it on their helmets & shields. Saxons & Vikings were trained in battle from an early age. How likely is it that there would have been a friendly welcome between Saxons living here & Vikings moving in, bristling with weapons? A coming-together of Saxons and Danes might have been more animated. If the right of way became Danebottom Lane, does it mean that the Saxons won the battle & kept the Danes to the bottom of the hill? A river flowed there & a Danish nobleman, Haca, owned land around it from about 450 AD. Might local Saxons have had to pay a toll to cross the river, & this land? In a farming, homesteading area, could Haca’s security guards be persuaded to open the gate for food or drink? Chickens, eggs, home-made mead, nettle soup? This could have been a job for TimeTeam! 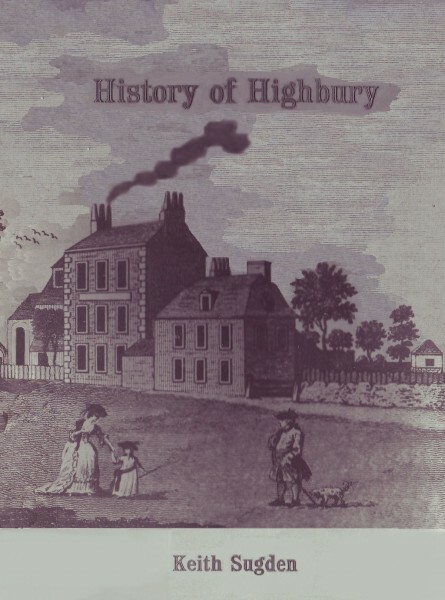 TimeTeam came into being after Dr Sugden had written ‘History of Highbury’, where he cited links between the event on Blackstock Road & a field on the east side of the hill, a short walk away. Named Danebottom Field in Domesday Survey, it is now called Highbury Quadrant and is covered with houses, gardens, a pub & a church. What lies beneath it? Evidence of a battle, or of a settlement? Would anyone living in the Quadrant have been prepared to let a respected television programme’s experts dig a trench in their garden? If the Quadrant and the old Police Station were not here, in this built-up part of London, TimeTeam experts -archaeologists, historians & geophys operatives, with a CGI programme & Victor Ambrus illustrating Saxons and Danes in full costume – could have looked into the area and made, perhaps, some important discoveries. There are battle sites scattered over The British Isles. 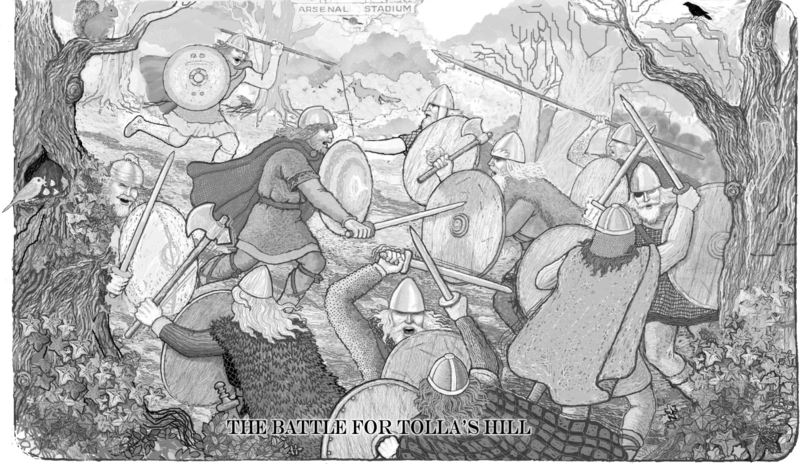 A famous battle might have its own museum, artefacts, website, even combat re-enactment. In the north of England, York’s JORVIK Viking Centre has been built on the site of a Viking town. Here remnants of thousand year-old houses are on display with masses of recovered artefacts. The public can visit the site and learn about its historic past. Because of our local connections with the Vikings, we reckon this place is worth a visit. Each year at February Half Term, Jorvik holds Jolablot, the ancient Viking festival held ‘to herald the coming of spring and the survival of winter hardships‘. Over 40,000 visitors a year come to this, the largest Viking Festival in Europe, attracted by its atmosphere & family-friendly events. Volunteers come to York from all over the globe to take part in combat reenactment at Jorvik. This year, the 35th Jolablot Festival, had as its theme ‘The Untold Story of Women in the Viking Age’. Events such as 10th Century Traders, Best Beard Competition, Viking Feast and evening ‘Battle Spectacular’ took place on February 20th – 24th. Youtube videos from the event have been turning up, taken by several people enjoying the events. If you have any queries about the Festival please call: 01904 615505 or email jorvik@yorkat.co.uk. Our own local London Danes, from landowner Haca to those in the possible battle on Blackstock Road, had no monkish scribes to record their actions for posterity. What might be buried under the Police Station or Highbury Quadrant? Why couldn’t those international combat re-enactment volunteers perform in Highbury, as well as York? Why could we not have just one day a year – one weekend – to commemorate what happened on Danebottom Lane so long ago? Historical reenactment societies on the internet have storytellers, craftsworkers & other specialists. Some, such as Hrafnslith (Troop of the Raven) based in Dorset, & Regia Anglorum have their own living history encampments. Some will come to schools to talk or perform combat reenactment for the National Curriculum Key Stage 2 (Settlers and Invaders). Historic UK‘s History Magazine has a reenactors directory covering 11 time periods on its website. Here you can find details of historical reenactment in this country, showing which groups might come to your school, mount a public display or be available for film work. Of 136 groups listed on the website in 2015, 13 were Viking and Saxon specialists : Ealdfaeder, Ordgar Dark Age Reenactors, Wodens Hearth, Croix du Nord, Wirhalh Skip Felagr, Reenactment Mercenaries, Wuffa, Vikings of Middle England, Nordmanni, Longship Trading Company, Kernow Anwyn, WEOROD, Mercia Sveiter. Each group doing battle reenactment follows a set of rules. Health and Safety demand a helmet; other than that, scores are higher for the wearing of armour. Some groups allow a tap of the sword on a combatant’s shoulder as a ‘hit’. The Huscarl System allows only one hit, anywhere, & the person who is hit takes no further part in the combat. Rules for The Vikings!, Regia Anglorum, Swords of Dalriada & Jomsvikings & the HuscarlSystem are described by martial arts trainer Keith Farrell, who teaches HEMA (Historical European martial arts) & coaches instructors. See Keith on youtube in the final of the Edgebana Open Broadsword Final 2016. Timeteam may have finished its run as a series on Channel 4, but special programmes might be created for certain sites – such as ours? We must assume that we will get no archaeological dig under The old Police Station, which is now being redeveloped (December 2016). Blackstock Road is under constant use. Health and Safety would surely rule out the staging of any battle reenactments there – all those sharp weapons in close proximity to shops and spectators, too risky. But could we not host something in nearby Emirates Stadium? In summer, say, after the Arsenal year, when no other event is on? And have a little dig on Blackstock Quadrant? Set near a site of historical interest, our annual Summer Combat Reenactment at The Emirates – Saxons v Danes might have a Viking theme running through the neighbourhood. Our local pubs might have Scandinavian and artisan craft beers, & mead, on offer. Saturday could be teaching day at the Emirates, with coaches such as Keith Farrell holding reenactment seminars, workshops and tutorials. Sunday could be the Saxons v Danes Reenactment. For now this will have to remain a Fantasy Event. 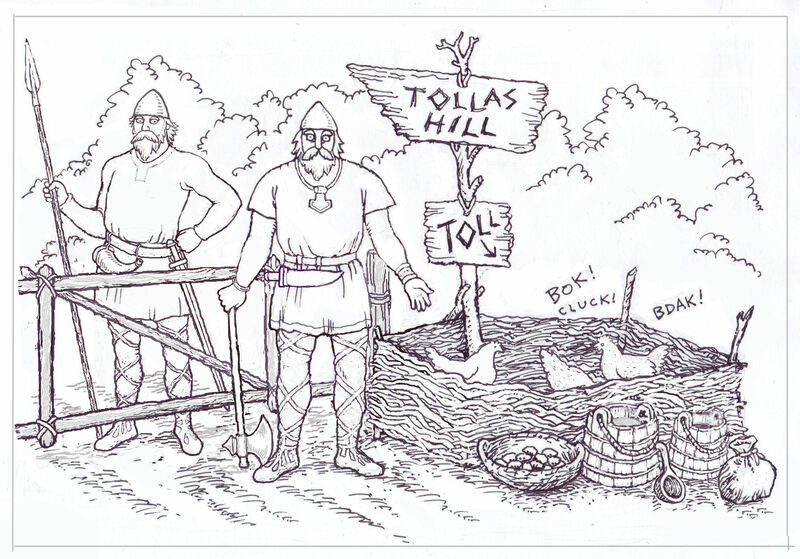 Whatever artefacts may lie beneath our Highbury gardens, a visit to York for Jolablot may be as close as we can come to Viking encounters. 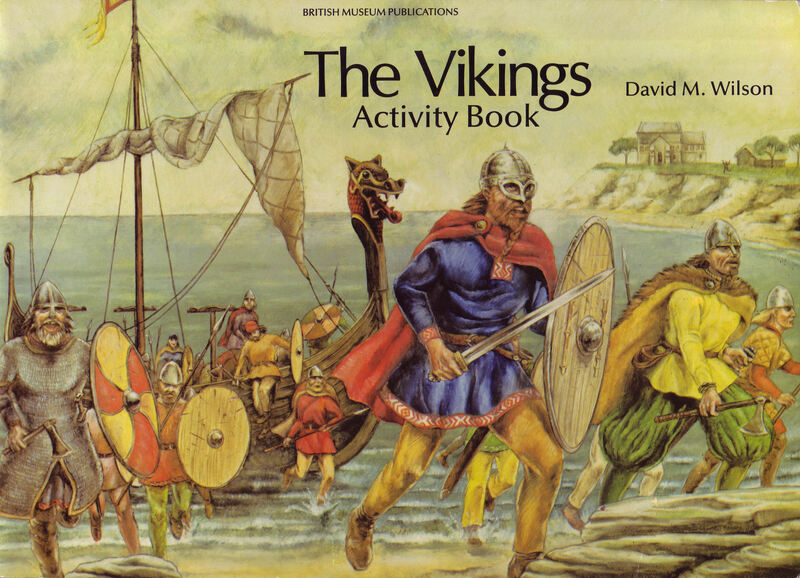 The Vikings Activity Book, by David M. Wilson, illustrated by William Webb, British Museum Publications, 1989. This book includes line drawings of life at home in a Viking settlement; the Viking alphabet and its letters, the runes; Viking dress and jewellery; and a Viking Voyage game (‘Blown on to enemy shores – go back 2; Pillage a monastery – go on 3’). Highbury’s past is here, as well as that of Islington. The author is a writer who has been journalist, art teacher and tourist guide in Islington (where she lived for ten years), having tutored the Guiding for Tourists Course at City University. 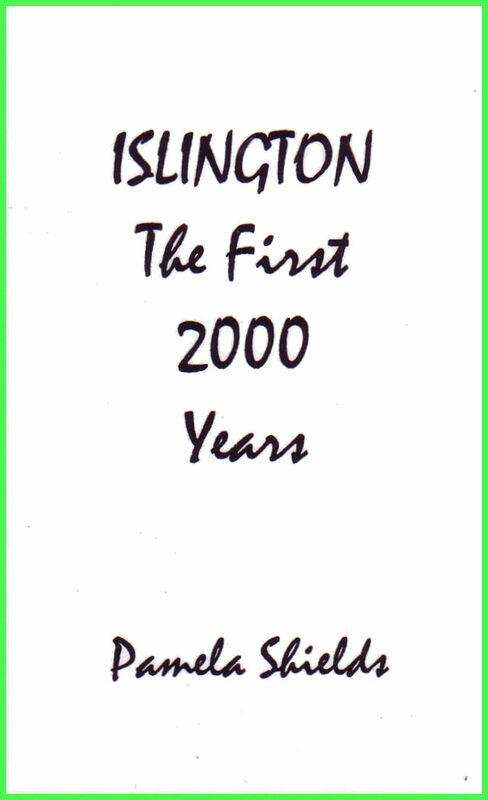 Articles in the book appeared in the Islington Gazette between 28 Oct and 31 Dec 1999. The book gives us a changing picture of Islington, from its geology in the Thames Basin and the arrival of the Celts (450 BC) to 1999 and beyond. Humans, famous and infamous, have lived here over the years. Pamela Shields tells of a river flowing west to east from Isledon Rd down Gillespie Rd, over to Riversdale Rd, through Clissold Park, Abney Park, and on to the River Lea. 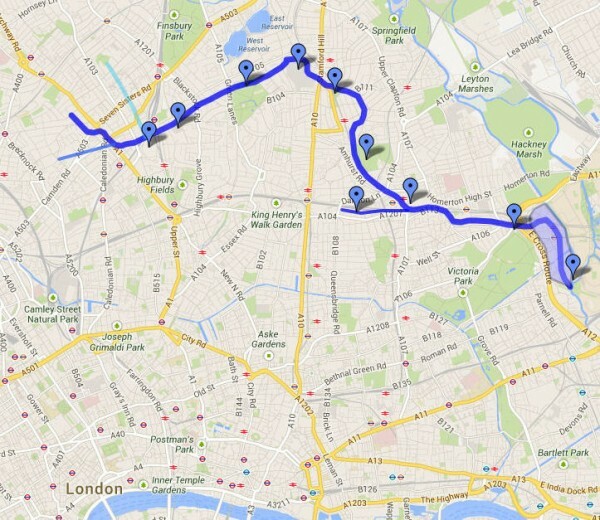 It became known as the Hackney Brook, named for Danish landowner Haca. The Hackney Brook, the river flowing from west to east across what is now Highbury Vale, would have been a barrier to be crossed by humans in the area. Part of the Danish landowner’s land? Paul Talling looks at the Hackney Brook as a tributary of the River Lea; it is now contained in a pipe underground, as are other lost rivers of London. The author conducts guided walks of the city’s lost rivers, streams, canals, docks & wharves, much enjoyed by those who have gone on one. Tickets, limited to 20 per walk, usually sell out months in advance. See website for guided walks mailing list. London’s Lost Rivers by Paul Talling (ISBN: 9781847945976) . This look at Europe by Danish-American naturalist May Thielgaard Watts includes the Vikings’ homeland and what they left behind to explore other lands. 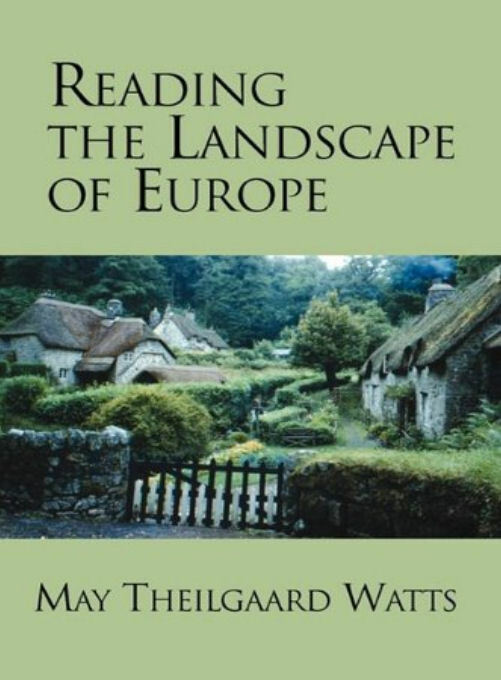 May T. Watts writes of Denmark’s bogs, its seacoast and the fairy tales of Hans Christian Anderson. 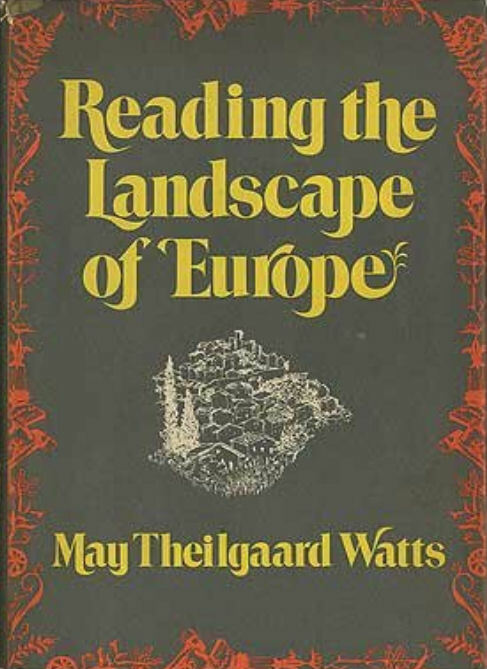 ‘ Denmark is a young land – soft, spineless and immature, lacking mountains, canyons, caves, waterfalls, and other such dramatic evidences of past turmoil… Its insignificant mass has been haphazardly arranged by the most gigantic of bulldozers, the great ice sheet, and its outline has been the much-handled plaything of a fumbling sea ‘.